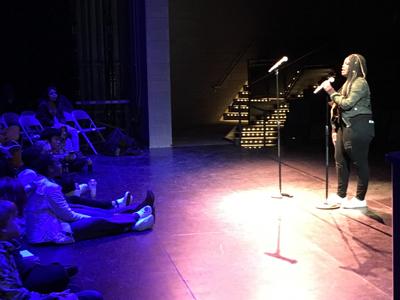 The Fridley High School Choir Department hosted its 4th annual Cupcake Concert on March 7, 2019. The unique concert is “flipped,” meaning the audience gets to sit on stage as the students perform for them! All students in the underclassmen choir Bel Canto prepared and performed a solo. 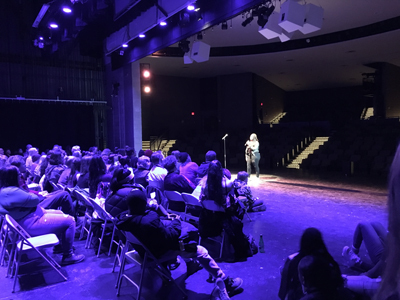 In addition, upper class students auditioned for solo spots - totaling 29 talented students who wowed the audience with their performance. Adding a creative and personal touch, students had the opportunity to perform songs of their choosing. In addition to English, students performed songs in Spanish, Hmong and Hindi. As the name implies, all audience members enjoyed a cupcake after the performances. Thank you to all who attended!